Loud, chirping, and leaping insects that can keep you awake at night are called Crickets. They are about an inch long and usually black, but can be green, brown, or red. They have a similar appearance to grasshoppers. Their 2 back legs are much larger then the front 4 legs enabling them to leap high. 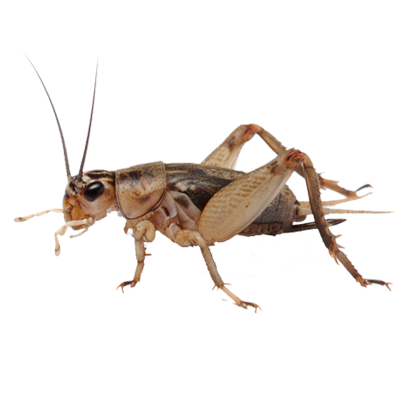 Crickets are known for their chirping, which is caused by rubbing their wings together, however only males make the sound. The chirping is for attracting females and to keep other males away. They eat both plants and other animals such as rotting plants, fruits, or other bugs they might be able to catch.